I ADORE Japanese food! But in Austria good Japanese restaurants are quite expensive. So I decided to make my own makis ;-) I have also made some sushi allready, but really fresh fish is hard to get where I live and/or it costs a lot. That is why I make my maki with smoked salmon or bloaters. Many people think that it is very complicated to make Japanese food and that it is difficult to get all the ingredients you need for it. I don't share this opinion. Nowadays you get special sushi-rice, nori-leafs and wasabi in nearly every supermarket. The cool thing about "my" maki version is that you can put anything in the roll, like e.g. aspargus or string beans *yummy*. Cook the rice (it has to be really sticky! ), put it in a bowl and add a splash of white vinegar to it. Stir well and let chill. Meanwhile cut the cucumber, carrots, avocado and smoked fish into long slices. And now: let the rolling begin! 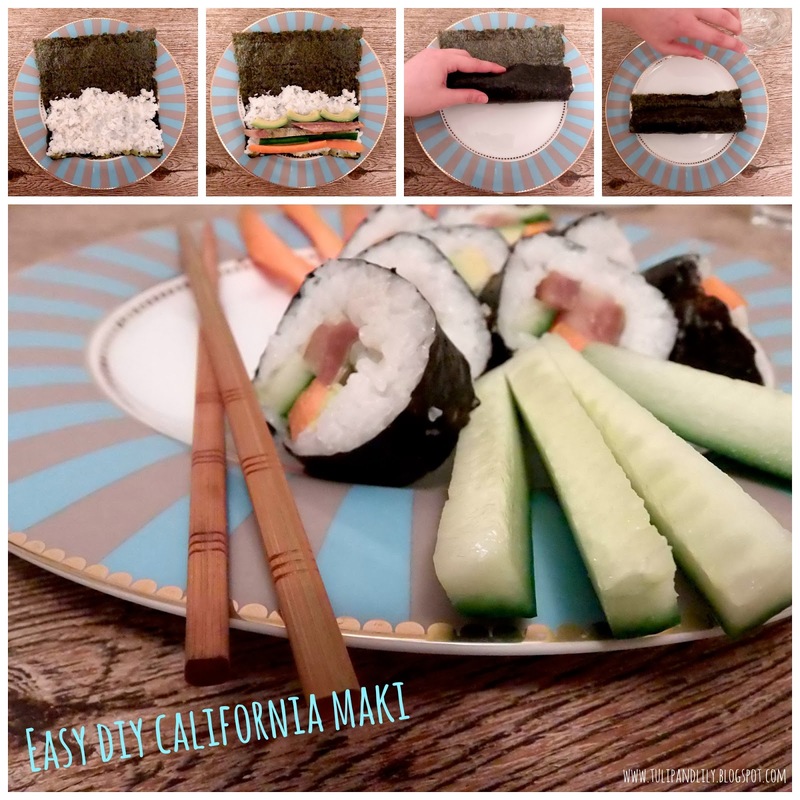 Next, add your ingredients - you can either mix them or put only avocados or only cucumbers in it - just be careful to not "overload" your nori leaf. Then start rolling with both of your hands. You will have to tighten the roll. The idea is simple, if you ever had a scroll and wanted to make it smaller in diameter, what did you do? You pressed and rolled it inside. If you don’t tighten the roll enough all ingredients will fall out when you cut the roll. Now you can cut your roll into slices. And - this is very important in Japanese cuisine - arrange them beautifully and enjoy with some soy sauce, wasabi and pickled ginger. Wow, das sieht ja klasse aus! Schön erklärt. Daher bleibe ich meinem liebstem Sushirestaurant treu!